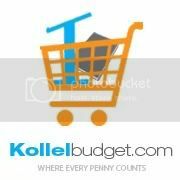 Aderet Music Presents: Simchas Hachaim! 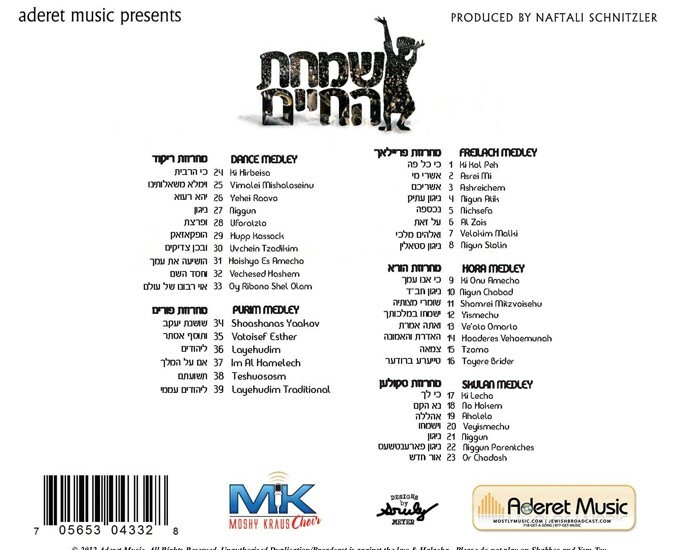 All new album featuring 39 leibedige hit songs that will keep you dancing and dancing with no end! 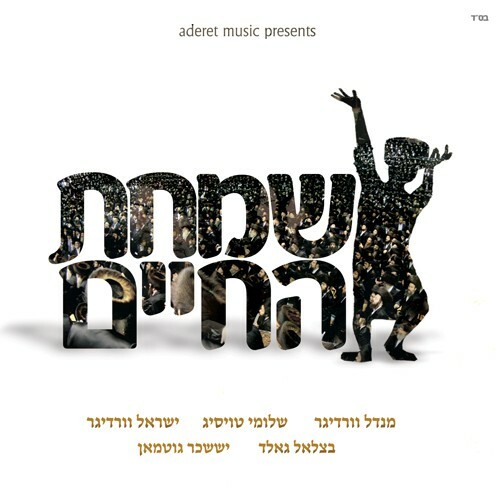 It also includes a Purim Medley. 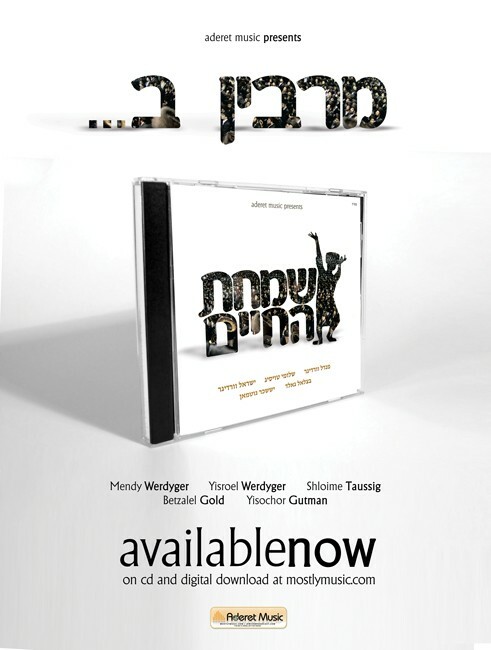 Simchas Hachaim features the vocal talents of Mendy Werdyger, Yisroel Werdyger, Shloime Taussig, Betzalel Gold & Yisochor Gutman. The CD was produced by Naftali Schnitzler and choirs by Moishy Krauss of MK Studios.